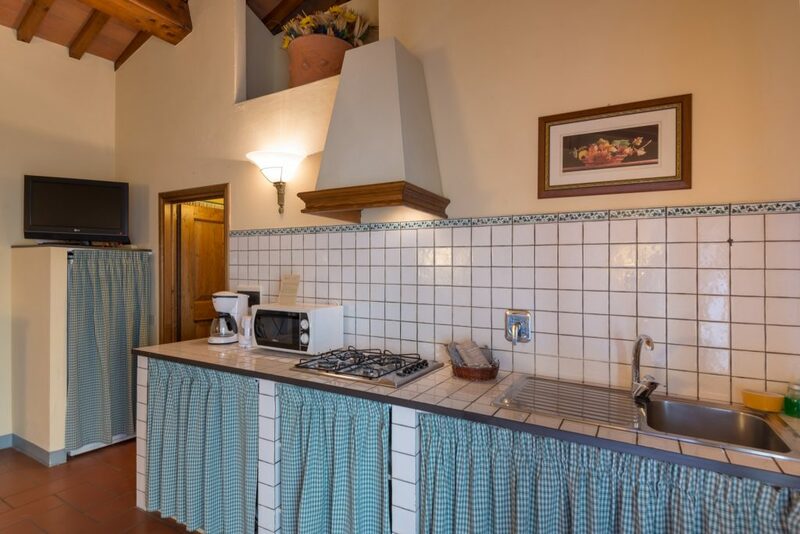 All located in the main building, our apartments include one and two-bedroom self-catered units, each with living room, kitchenette and bathroom. 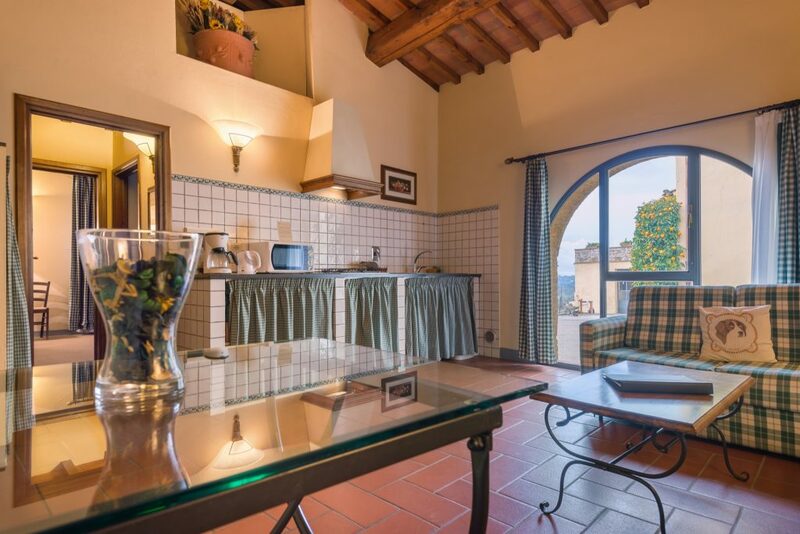 Offering more independence than hotel accommodation these are perfect for couples and families seeking privacy and freedom. 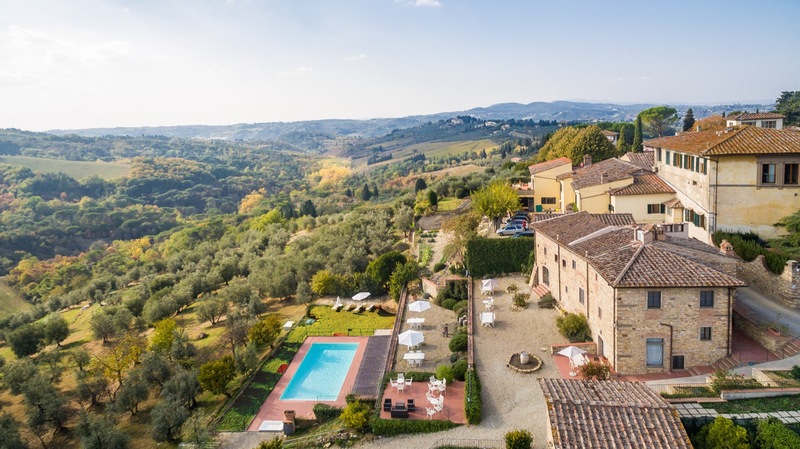 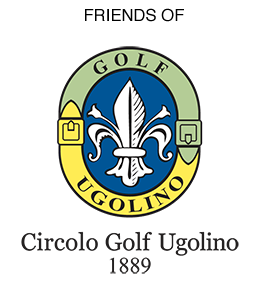 Apartments available include those offering sweeping views of the countryside and others with private al-fresco areas, ideal to enjoy the vista of the gently rolling hills and lose oneself in Tuscany’s dreamy landscapes during unforgettable fiery red sunsets. 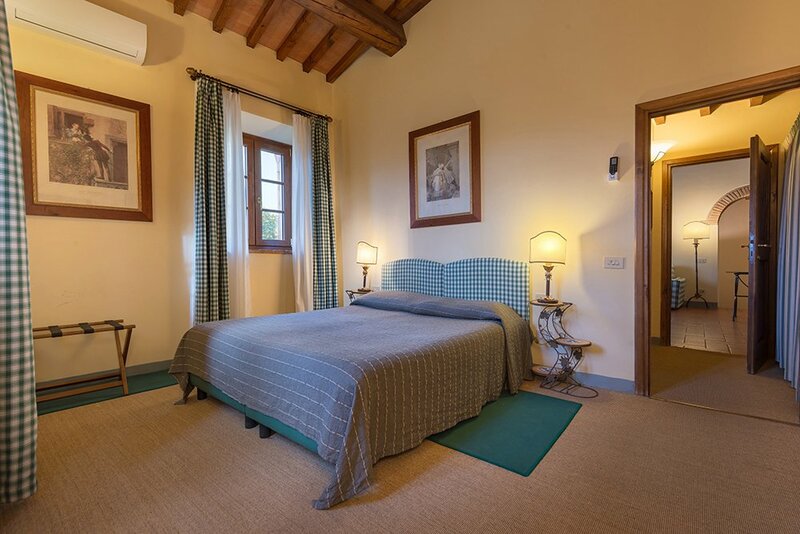 This solution makes Relais Villa Olmo the perfect relais for family in Florence countryside. 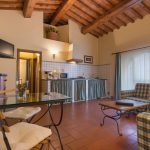 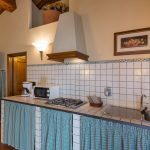 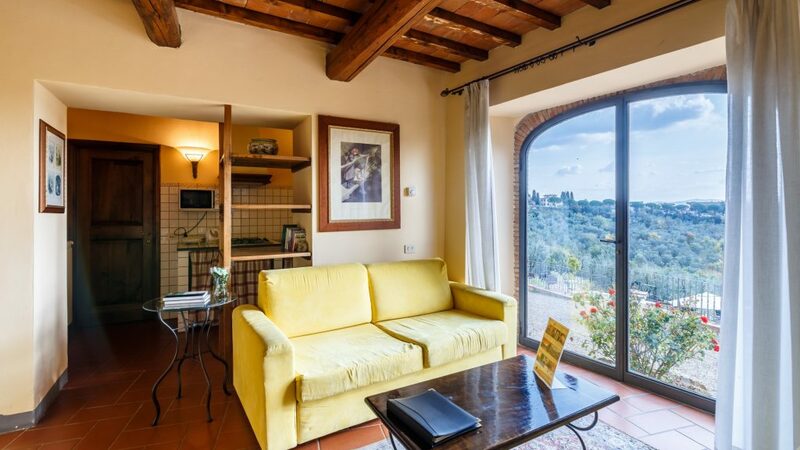 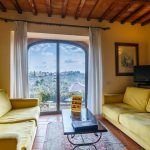 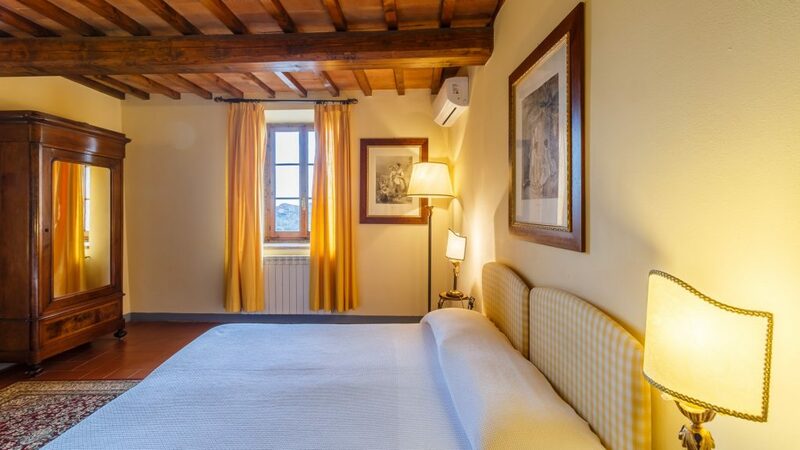 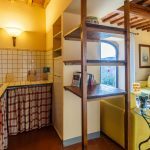 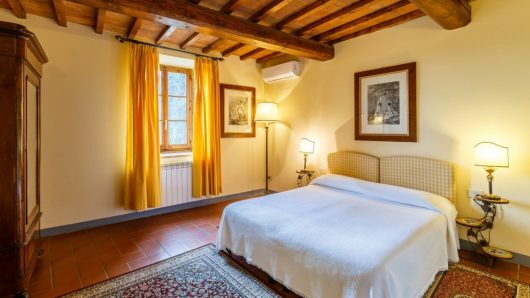 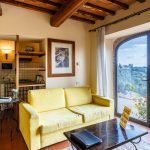 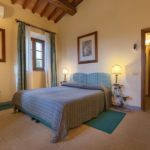 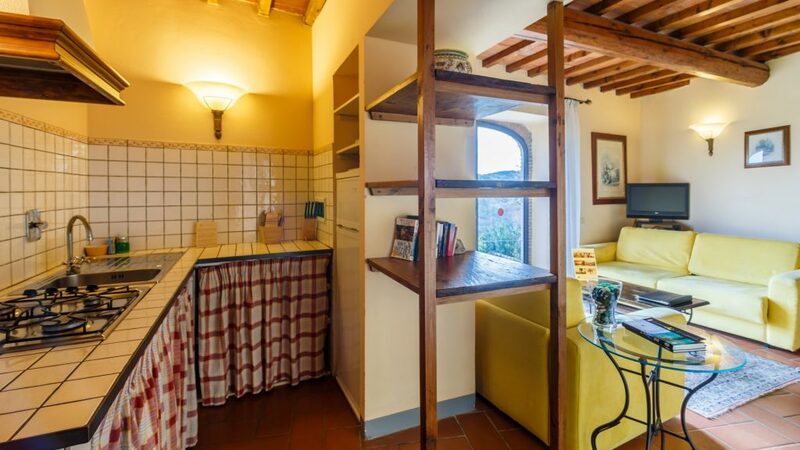 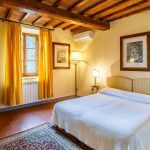 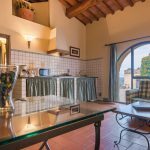 Located in the central building of our food and wine Resort in Chianti, our one bedroom apartment has an independent entrance, 1 bedroom, kitchen and living room. 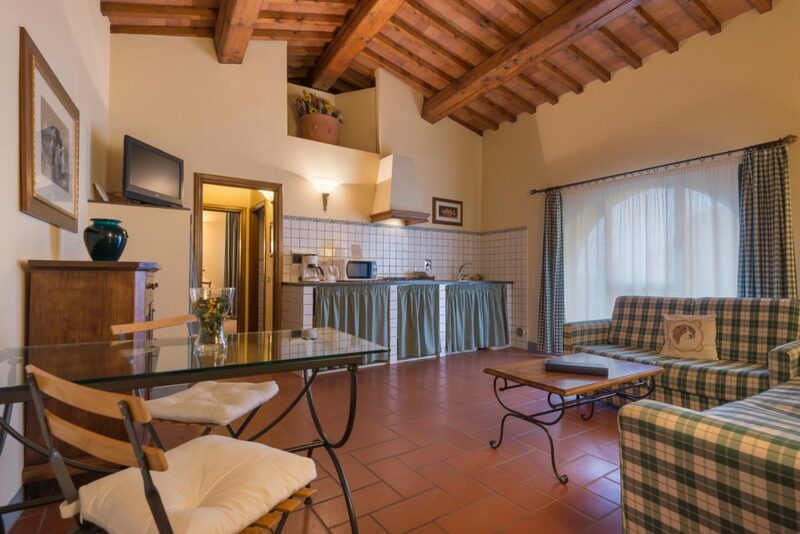 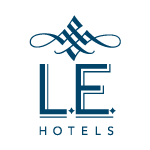 Located in the central building of the Relais has a separate entrance, 2 bedrooms, kitchen and living room. 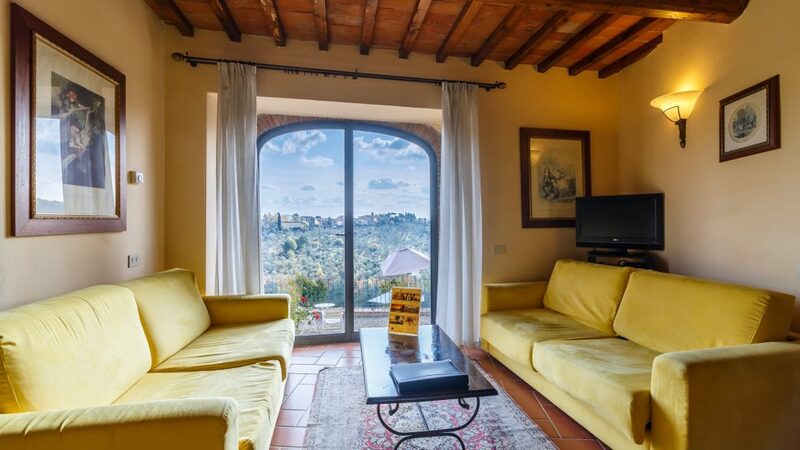 Some of these have exterior views of the garden or view of the valley.